Y Combinator-backed RegistryLove is officially debuting its universal bridal registry service today, and it already has 3,000 brides-to-be signed up to use it. And 750 of those signups occurred before the website itself was even finished. That speaks to the demand – and also the potential – in the newly hot “weddings” vertical which has recently been under attack from all sides, from wedding websites to photo-sharing apps. 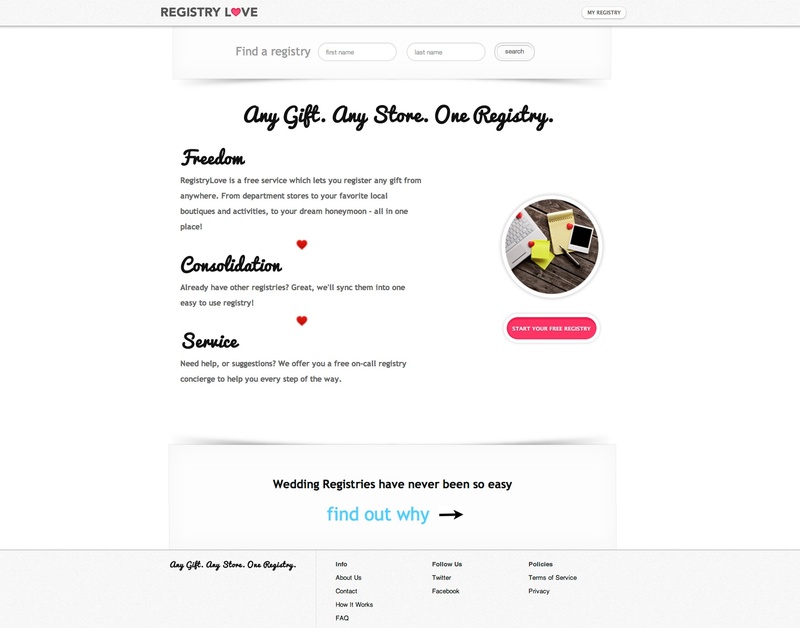 With RegistryLove, the idea is simple: any store, one registry. No single store has everything a couple wants to register for, and many couples would like to include unique items they adore from smaller merchants, or even local shops without an online presence, on their registries. Plus, many modern couples also have fewer needs for household goods, plates, and linens, having merged domiciles ahead of the big day. What they would rather have are more unconventional gifts – tickets to a play, a paid dinner out while on their honeymoon, or maybe skydiving lessons. Brides (or grooms, as the case may be) who join RegistryLove can either import the online registries they’ve been working on previously at big box retailers, or they can opt for a one-on-one consultation with a special wedding concierge. The concierge will reach out via phone or email, depending on preference, and ask a series of simple questions to learn more about the couple and their style. Then, she will pull together a group of recommendations which the couple can add to their official registry on the site. The initial registry will start off with 20 or 30 suggestions, so as not to overwhelm the couple, but the end result may grow as large as hundreds of items, or even shrink to just a small selection of just a dozen. The service generates revenue through affiliate income and sources items from either the merchants (now over 100) or the wholesalers the company is working with – a group which even includes some national retailers. 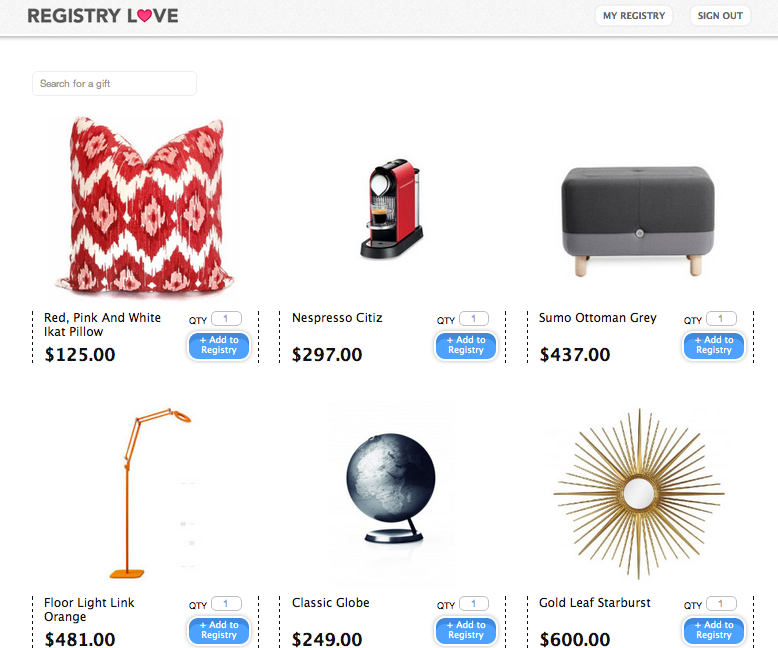 For local merchants without a website, RegistryLove will also go to the store and snap a photo (currently Bay area only). So they just did it. And here it is.